Have you ever wondered what SmokTek employees vape on a daily basis? Marina from our Shipping team shares her go-to vape! Before I discovered vaping, I was a chain smoker. Now that I vape, I find myself chain vaping instead - and feel much better. My vape is always nearby, and I'm always reaching for it. When choosing a new daily setup, things like battery life, e-liquid capacity, ease of use, looks and quality are important to me. My current favorite setup - an Innokin Cool Fire IV mod with an Aspire Triton tank - checks off on all of my personal must-have's. Battery Life - Since I vape all day long, I need a device which can last at least a full day before it needs to be charged. 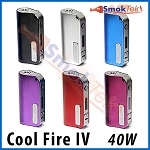 The Cool Fire IV has a 2000mAh built-in battery, and lasts a day with my style of vaping. Even better, the Cool Fire IV is a pass-through mod, so if I ever forget to charge, I can plug it into my laptop and keep vaping. I love this feature, and I try to look for devices which have it - it's saved me more than once! E-liquid Capacity - When I am at home or at work, I do not want to be fiddling with my device or refilling the tank every half-hour. 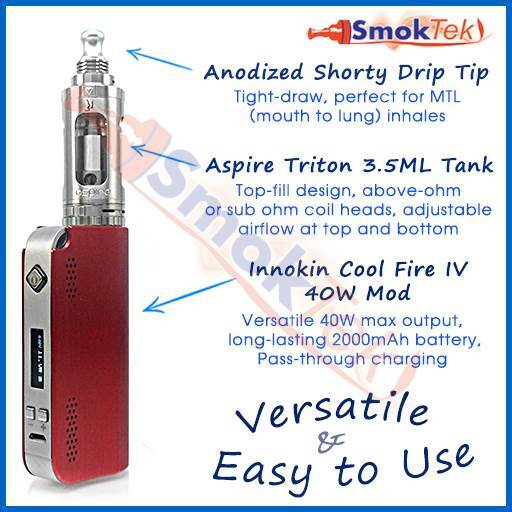 The Aspire Triton has a respectable 3.5ml capacity - I refill it once at the start of each day, and once more in the afternoon. Refills are easy as pie and take only a minute, because the Triton is a top-filling clearomizer. Ease of Use - The easier a device is to use, the greater the chances are of me liking it. With only three buttons and no menu switching, the Cool Fire IV is as easy to use as it gets. Its built-in battery is a con for some vapers, but I appreciate the convenience of not having to deal with removable batteries. As mentioned above, the Aspire Triton's top-filling feature makes it as mess-free to use as possible, and changing out coil heads is quick and easy too. Looks - Although I normally go for silver/stainless or black devices, as soon as I saw the red Cool Fire IV, I knew I had to have it. The colored options for this mod are very vibrant and attractive. I love the shape and overall look of the mod - it is comfortable to hold and the brushed finish on the body of the device is gorgeous. The clean, simple design of the Aspire Triton tank matches the Cool Fire well. 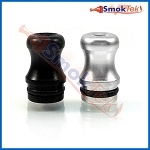 Quality - Innokin and Aspire are both manufacturers well-known for exceptional build quality. I have no doubt that the Cool Fire IV and the Aspire Triton tank will last me a long time. I have high expectations for these devices for a reason: I still sometimes use my Innokin iTaste MVP 2.0 mod (almost two years old! ), and my Aspire Nautilus Mini tank (more than one year old) continues to perform without a hitch. Note: I prefer above-ohm vaping, and use the 1.8 ohm coil in the Aspire Triton tank, set to 12W on the Cool Fire IV. To that end, I switched out the wide bore drip tip on the Triton for a silver Anodized Shorty Drip Tip. This, along with closing off the airflow holes at the top completely, gives me the tight draw I look for as a MTL (mouth to lung) vaper. The flavor from the coils is terrific, and vapor production is great. I do occasionally enjoy sub ohm vaping, and in those instances the original Triton drip tip is a must - it helps produce the big clouds of vapor we all love sub ohm vaping for. Remember to open up the airflow at the top if you want a more airy vape, or if the wide bore drip tip gets uncomfortably warm. *Miss any of our previous posts? Click here for Part 1, Part 2 or Part 3.